Hi. Hello. Remember me? I still exist. It has been so long since I have typed up a blog post that I do not really remember how to do it anymore. I actually had to look up my old posts to remind myself how I format these posts. Victor and I worked on the content for this post quite a while back but we both got so busy (when I say “we” I mean Victor because let’s be honest, I’m never actually busy...only busy eating avocado toast). We shot this maybe…a few months ago? Might as well be an eternity though. But I promise, that the next post will not take another few months. I already started brainstorming ideas for the next post. It will involve lots of cake, popcorn, sprinkles, and magic. 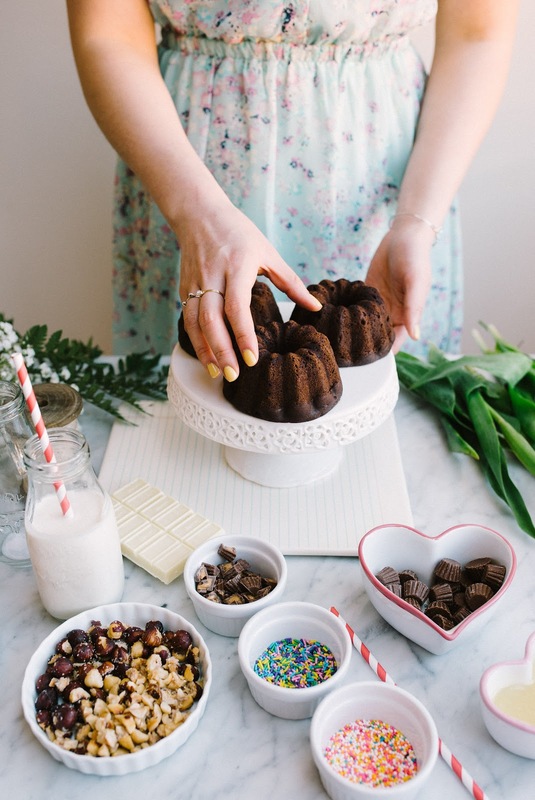 So let’s talk bundt cakes. 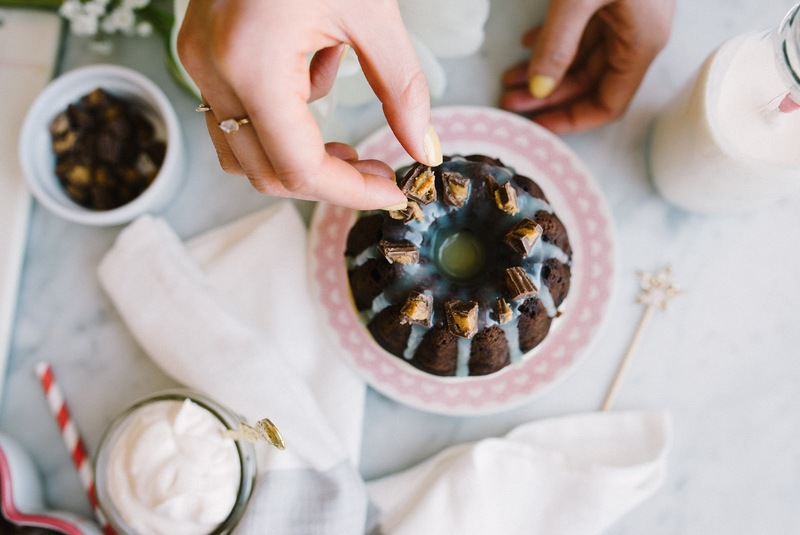 I have always loved the look of bundt cakes but they always scream ‘commitment’ to me because they are so abnormally large of a cake. It’s not that a have any trouble finishing an entire cake myself, but I just like having smaller looking portions of cake so I feel less guilty eating more portions of it, ha! 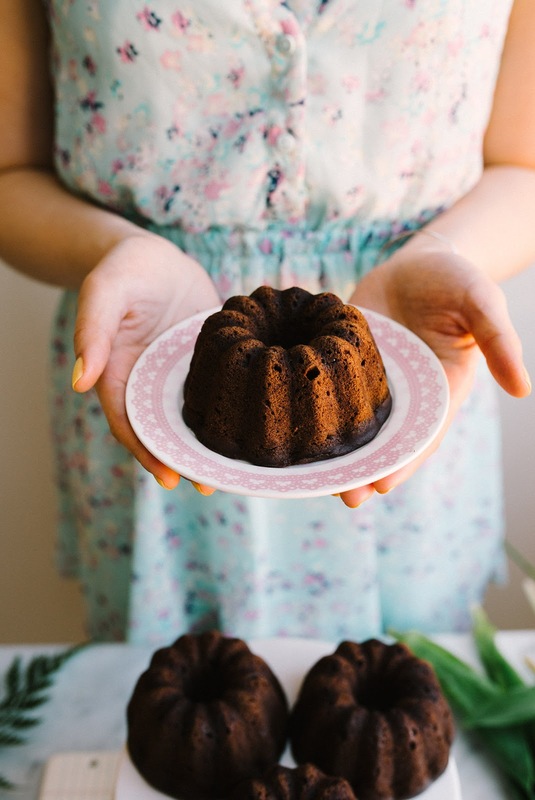 So when I saw this mini bundt cake pan at the store, I squealed. I squealed from the baking aisle all the way home. 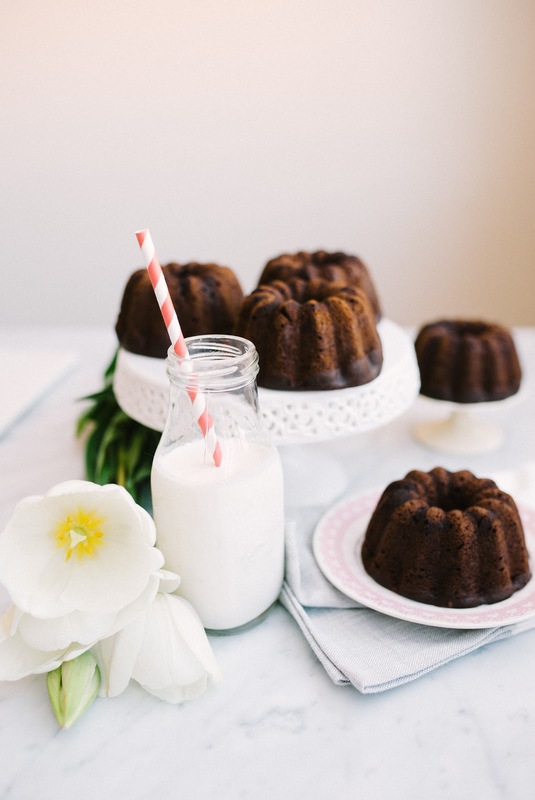 You mean I can make bundt cakes that aren't colossal in size and are easy to share? 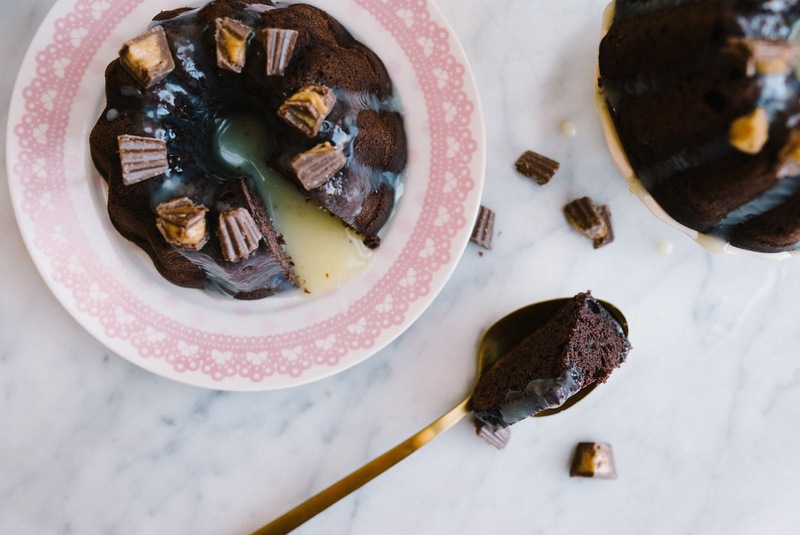 You mean I can make it a super rich chocolate cake and top it with more chocolate...and even more chocolate? You mean I can combine any cake scraps with peanut butter (aka nectar of the gods) and make little parcels of bliss? *Cue squealing again* Okay. Done deal. 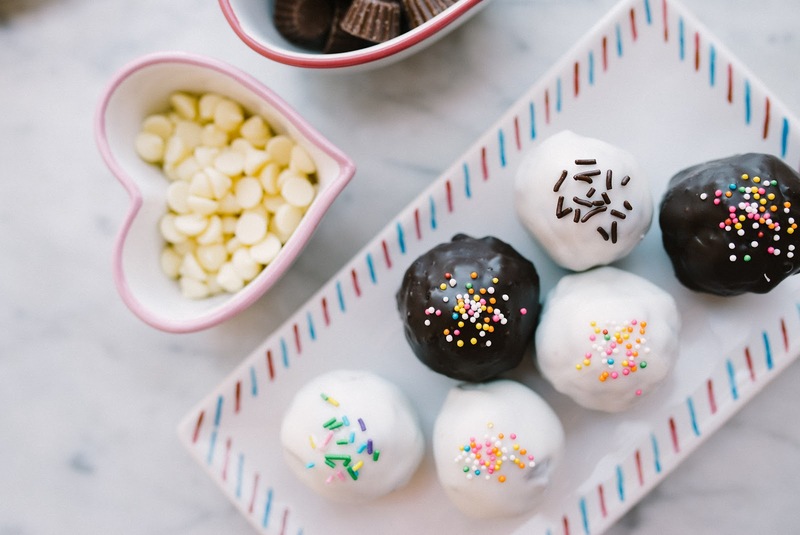 These cake truffles, or as I like to call them, parcels of bliss are so easy to make. So easy that posting “instructions” for them is kind of embarrassing. 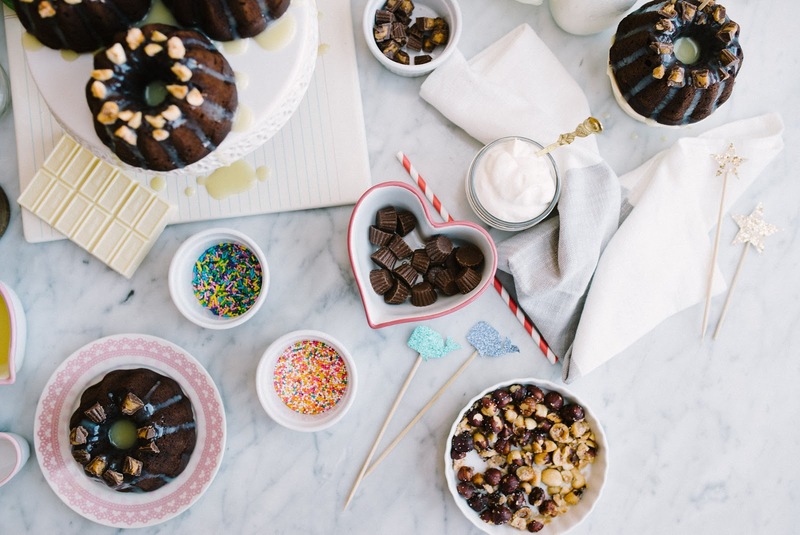 Making cake truffles or cake pops is a great way to use up leftover cake, older cake that’s kinda dry, or cake scraps. 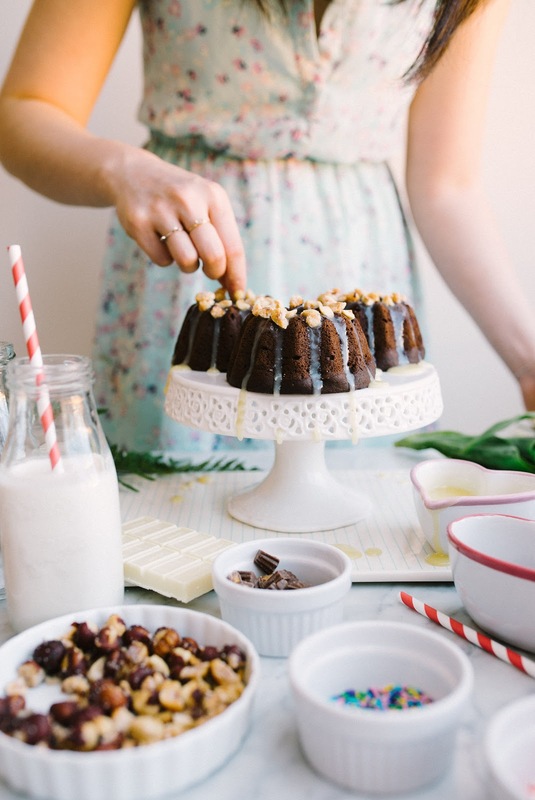 All you need is to crumble up the cake and add something that can bind the crumbs, like frosting or peanut butter. I used the cake scraps I had leftover from levelling the bottom of the cakes. 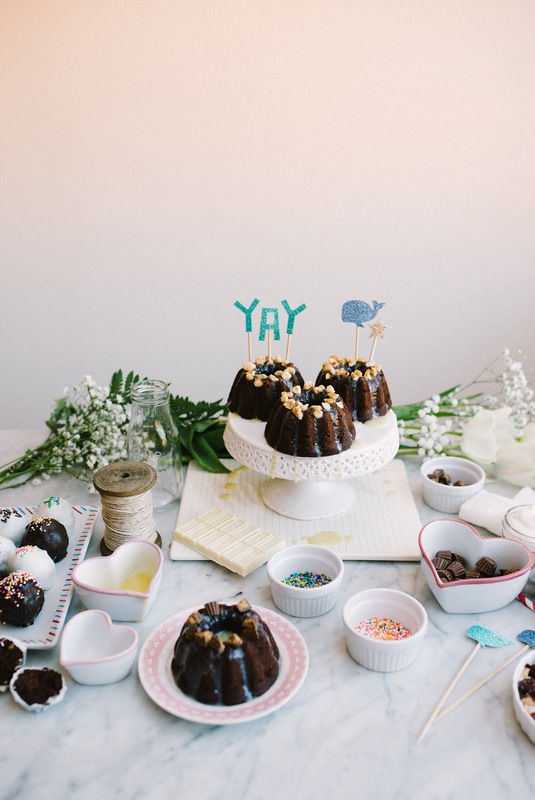 I recommend that you cover these little chocolate cake balls with chocolate so you can get more chocolate into your daily diet. Oh, you know what else is easy to make? 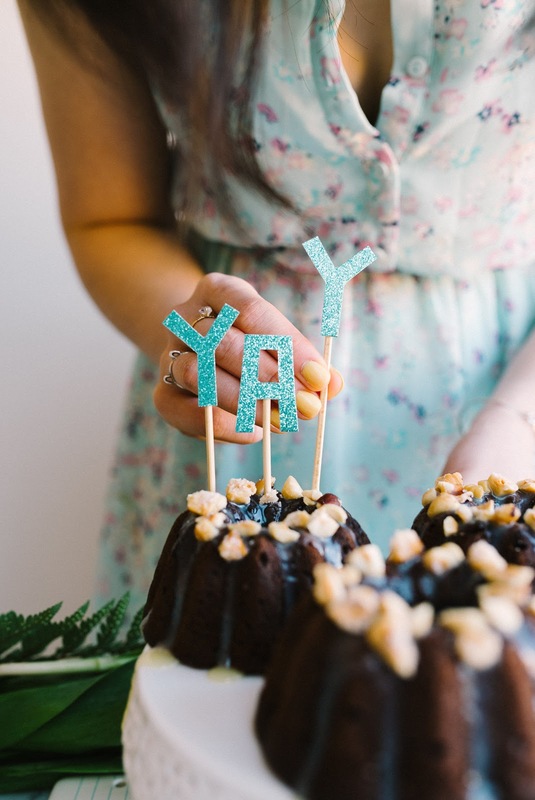 My newest obsession, homemade cake toppers. 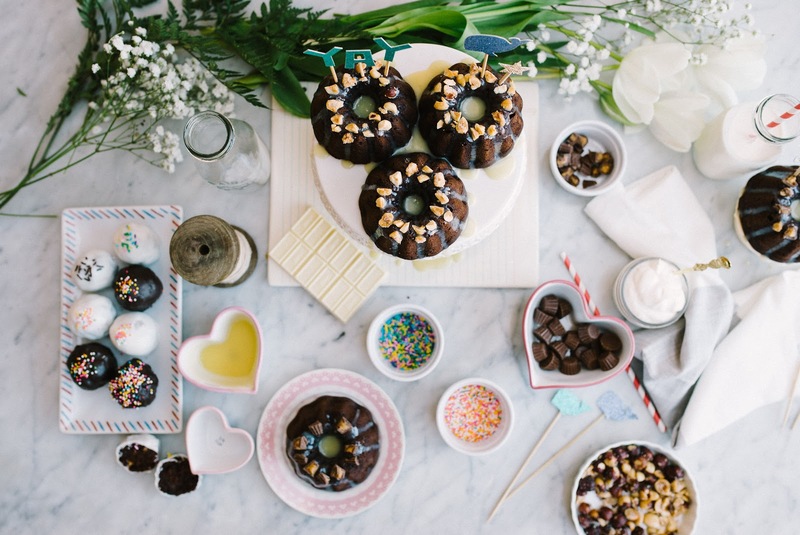 I usually like to decorate cakes and pies I make with fresh florals and berries but these usual suspects did not really go well with the bundt cakes. 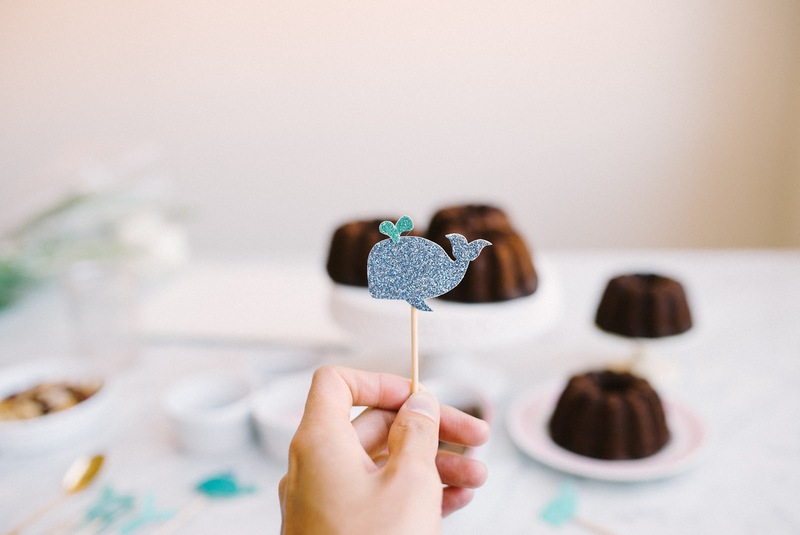 Instead, to make cute little bundt cakes even cuter, I made little sparkly whales and ‘YAY’ cake toppers to decorate them. But of course, I still needed to have some fresh flowers on the table. Victor and I always go to the market for fresh flowers before we shoot so we could not break that tradition. We still got some neutral white flowers for the table. 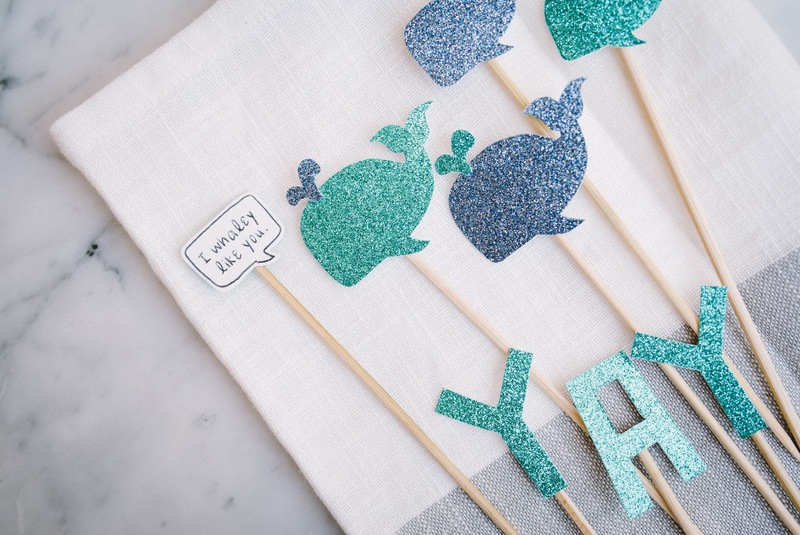 To make these cake toppers all you need is some sparkly card stock, some skewer sticks, and glue. 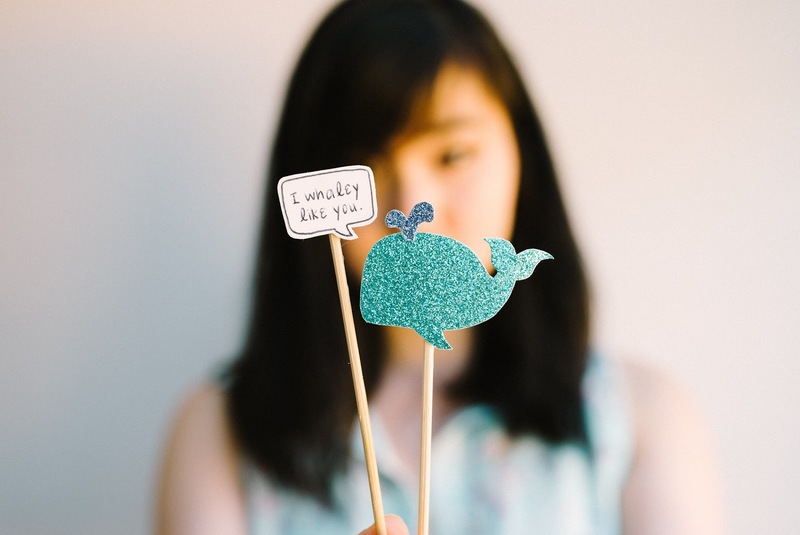 While you are finishing the rest of this post, I will be over there making more sparkly cake toppers for the next blog post. Eep. Preheat oven to 350 degrees F. Butter the cake pan and set aside. In a small saucepan, combine the butter, cocoa powder, salt, and water and place over medium heat. Cook, stirring, just until melted and combined. Remove from the heat and set aside to let mixture cool down a bit. 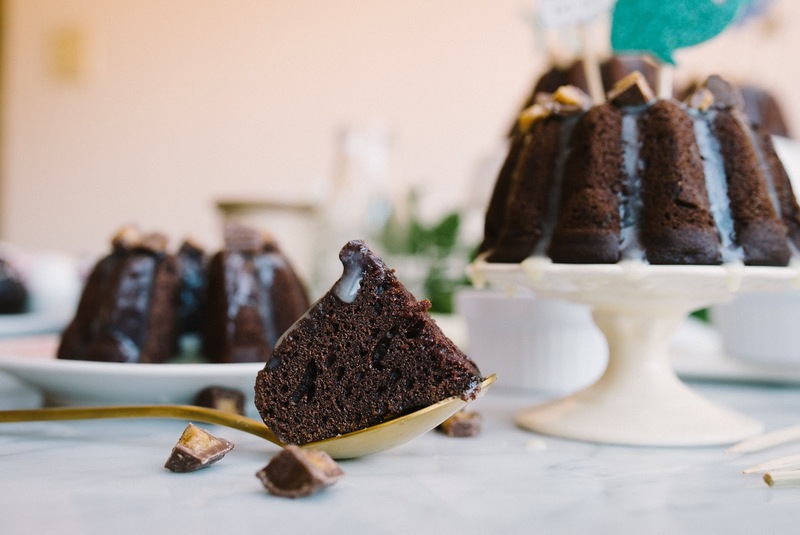 In a large bowl, whisk together the flour, sugar, espresso powder, and baking soda. Add half of the melted butter mixture and whisk until completely blended. The mixture will be thick. Add the remaining butter mixture and whisk until combined. Add the eggs, one at a time, whisking until completely blended. Whisk in the sour cream and the vanilla extract until smooth. 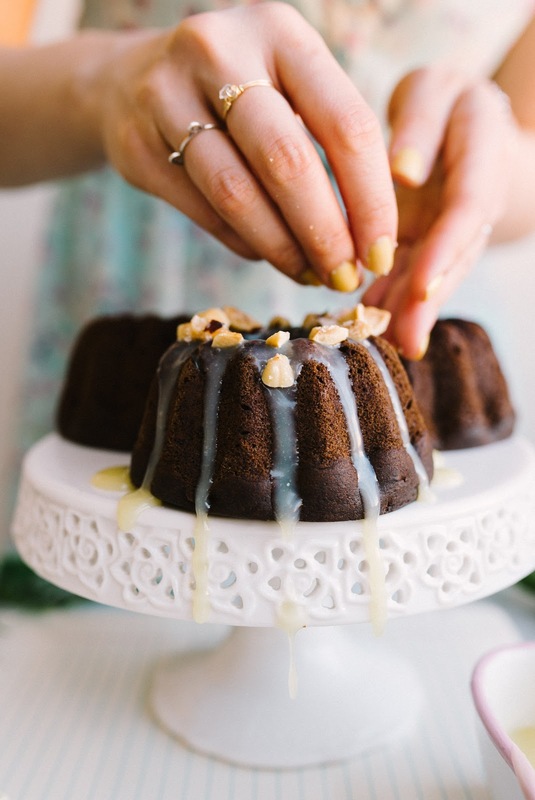 Pour batter into the bundt cake pan. Fill up each cavity ¾ full and don’t overfill. Bake until a toothpick inserted near the center of a cake comes out clean, about 30 - 33 minutes. 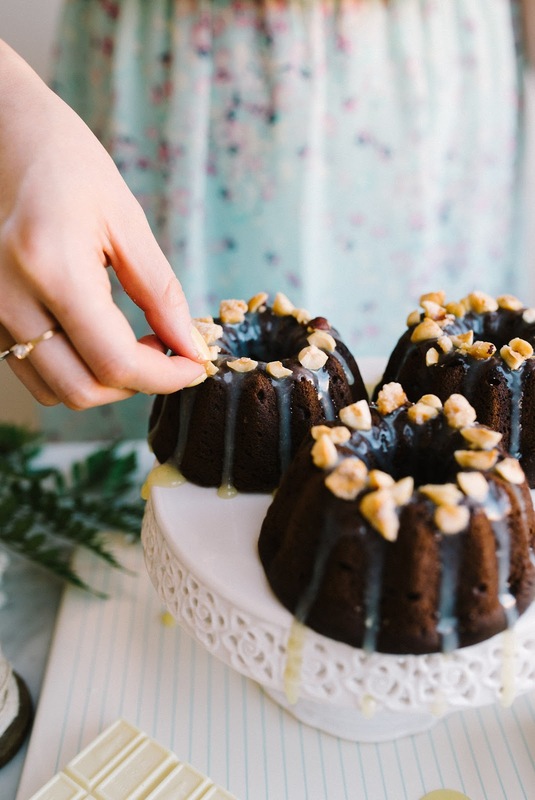 Transfer the pan to a wire rack and let the cakes cool upright in the pan for 10 minutes, then gently tap the pan on a work surface to loosen the cakes. 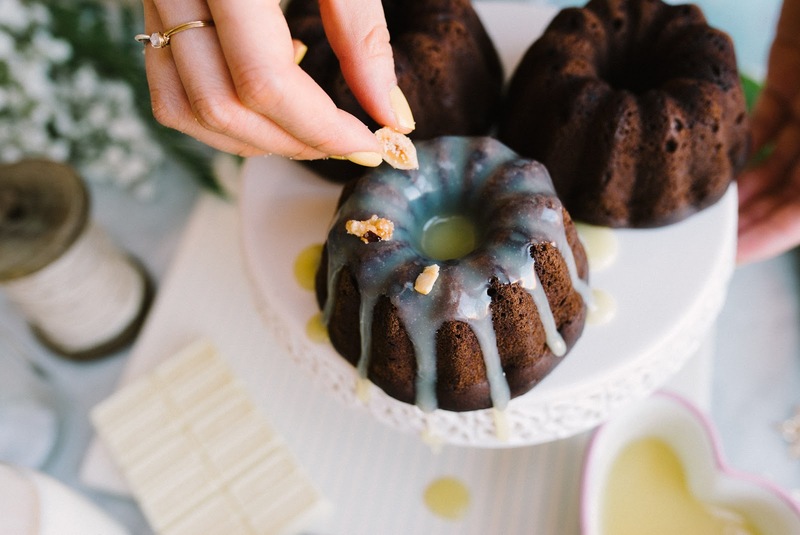 While the cake is cooling, make the chocolate glaze. Heat the heavy cream in a small saucepan and over medium heat. Pour the hot cream over the chocolate and whisk until smooth. 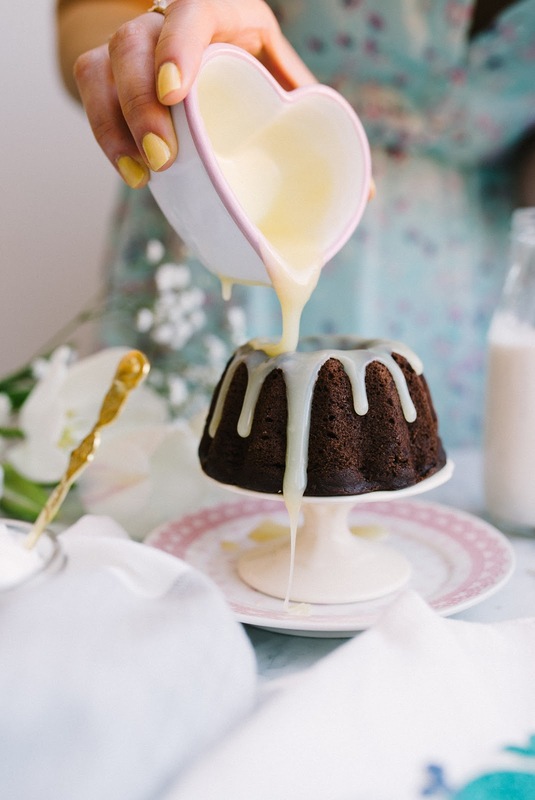 Generously drizzle the glaze over the cooled cake, allowing it to drip down the sides. 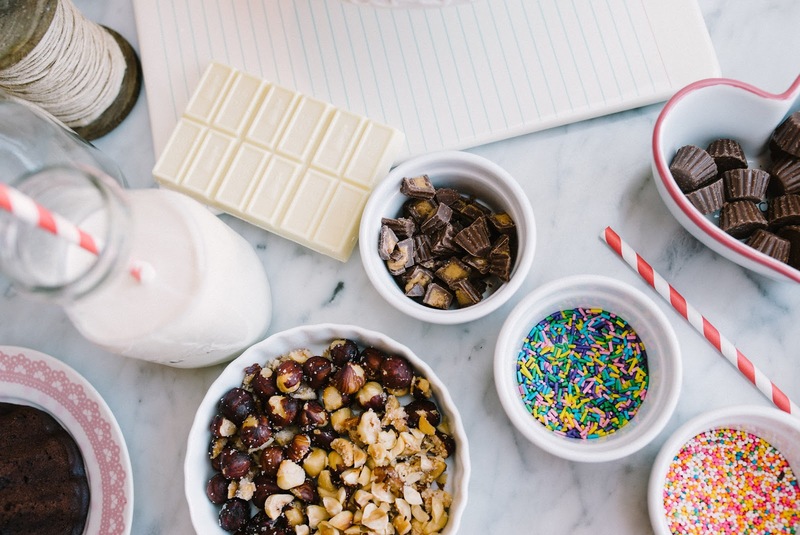 Before the chocolate completely cools, sprinkle with chopped nuts, sprinkles, whatever you like! I chose some homemade honey toasted hazelnuts and chopped chocolate peanut butter cups. 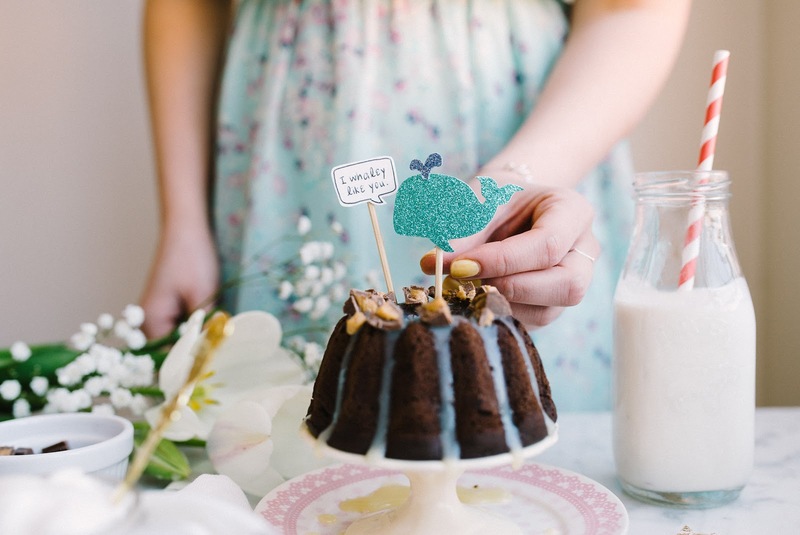 Crumble the cake scraps with your fingers or a fork. A loose crumb will be good. Warm the peanut butter in the microwave until it is no longer firm (roughly 30 seconds). Spoon the peanut butter into the bowl of cake crumbs and mix thoroughly until there are no more loose crumbs at the bottom of the bowl. Using a spoon or an ice cream scoop, scoop out equal portions of the peanut butter cake mixture. 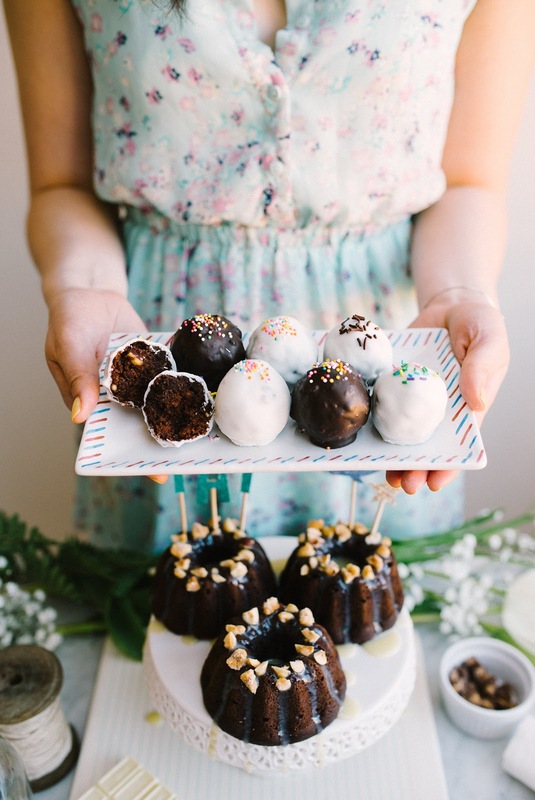 Roll into balls and if you like, you can dip the cake balls into some melted chocolate to form a truffle. 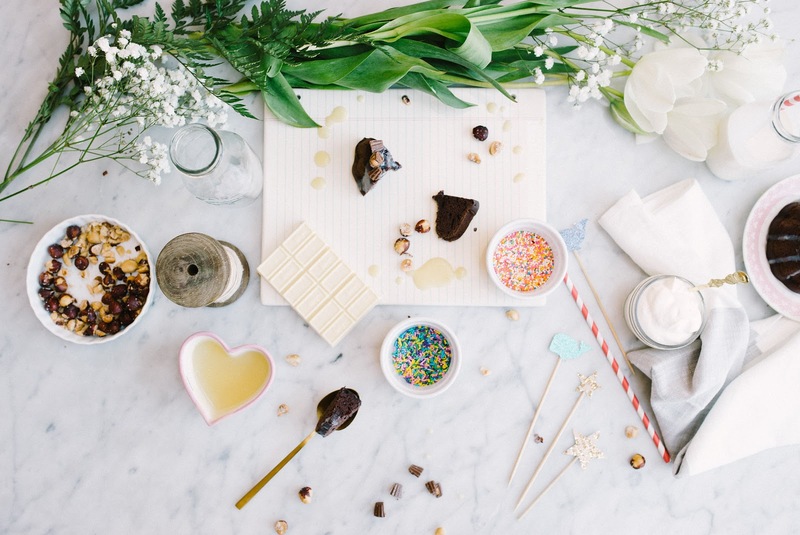 Decorate with sprinkles or chopped nuts before the chocolate shell completely hardens. Oh, I love it. It's so cute! These photos are great! 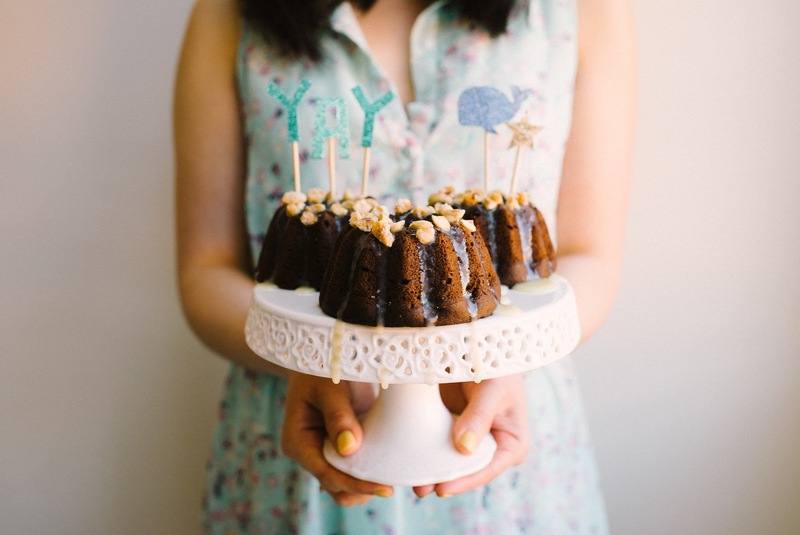 I love mini cakes too and these sound heavenly. yum!! خدمات شركة مكافحة حشرات المميزة التي تقدمها لكم من خلال افضل فريق لدي افضل شركة مكافحة حشرات و هي الشركة الفرنسية التي تعتبر اهم شركة ابادة الحشرات علي مستوي جميع انحاء المحافظات . تتميز شركة ابادة حشرات بأنها من اهم و اكفأ الشركات المتخصصة في ابادة الحشرات فهي اهم شركة مكافحة الارضة بمكة التي تتميز بمهارة فريقها تواصل مع اكبر شركة تنظيف سجاد بمكة المتخصصة . خدمات شركة مكافحة حشرات بالخبر التي تقدمها من خلال افضل فريق متخصص في ابادة حشرات البق و الصراصير تواصل الآن مع ابراج دبي التي تعتبر اقوي شركة تنظيف منازل بالخبر و تقدم لكم مستوي عالي جداً من خدمات . اعلي مستوي خدمات زراعة الشعر يمكنكم الآن الحصول عليها من خلال فريق اطباء متخصص يعمل لدي مراكز زراعة الشعر فى تركيا المتميزة .